Not in the mood for a group tour? No problems. We know how it goes and that sometimes you just want to learn in a more focused and one-to-one way. Just get in touch to discuss your options for private guiding. Here at Rockbusters, we offer loads of great tours and trips for you to choose from but if you’re feeling in the mood for something a little special why not try Private Guiding? 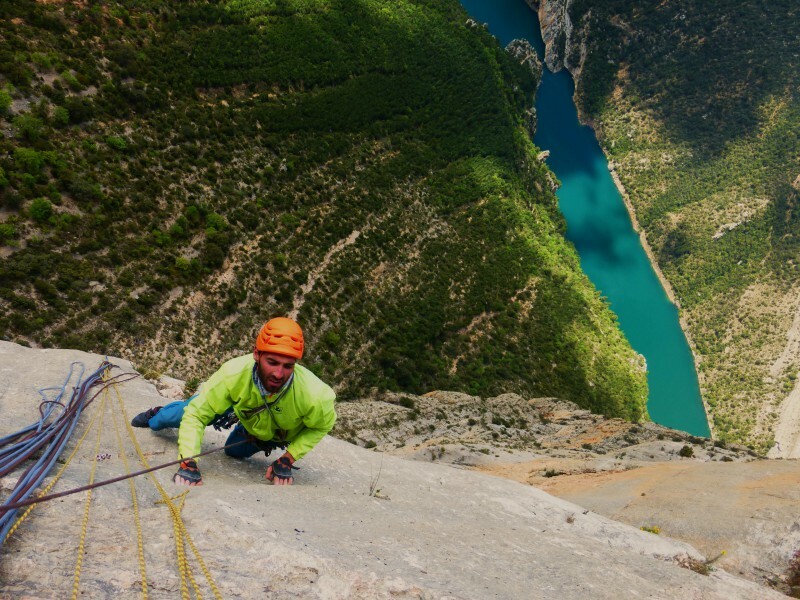 Simply choose any rock climbing destination in Spain and a time which suits you best during the year and we’ll take you there on a guided tour. You can’t say fairer than that. Get in touch to discuss your plans during a consultation with us and we will prepare a package which reflects your desires. Just think of us as your very own magic climbing genie. Private guiding tours are for one or two people – friends, couples, hot dates…we’ll leave that up to you. Right now we’re only offering this service in Spain but we plan to expand it to France, Germany, Italy and the Czech Republic soon, so watch this space. Learn Trad and multipitch climbing skills to give you the confidence to climb higher and more technical routes. On the course we try to focus on more challenging routes working towards leading F6c and above, as well as red point and on-sight attempts. But it all depends on your climbing level. We’ll do our damnedest to make sure you have the very best private climbing experience possible, whenever and wherever you choose. With personal tuition you should improve quickly, achieving new climbing heights in no time at all. The Mont-rebei gorge is located on the Aragonese – Catalan border in the districts of Ribagorza and Pallars Jussà. The two provinces are divided by the river Noguera Ribagorzana and Montrebei lies just where it carves its way through the narrowest part of the gorge to carry on further down through Sierra de Montsac. 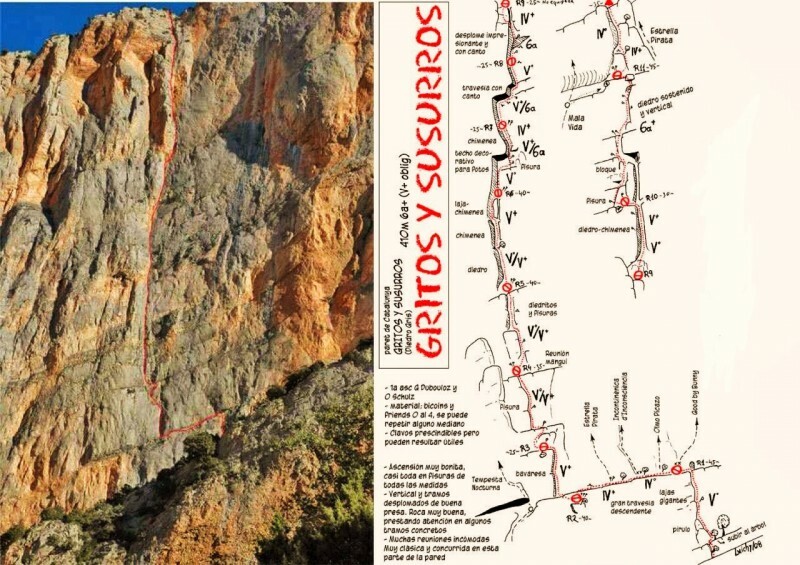 There are two main walls and among the climbers they are usually referred to as Pared de Aragón (Aragonese Wall) and Pared de Cataluña (Catalan Wall) because each of them is situated on one side of the river, hence in different province. 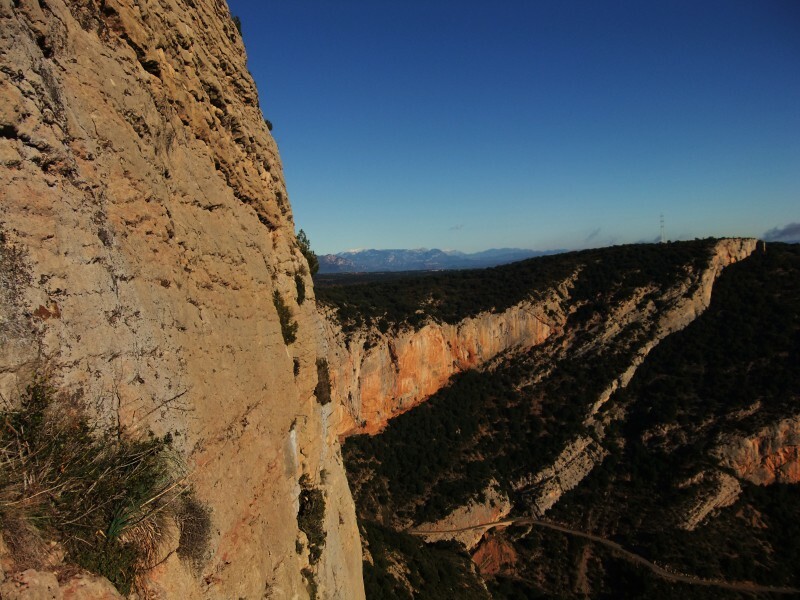 Mont-rebei is known as the most challenging trad climbing area in Catalonia. 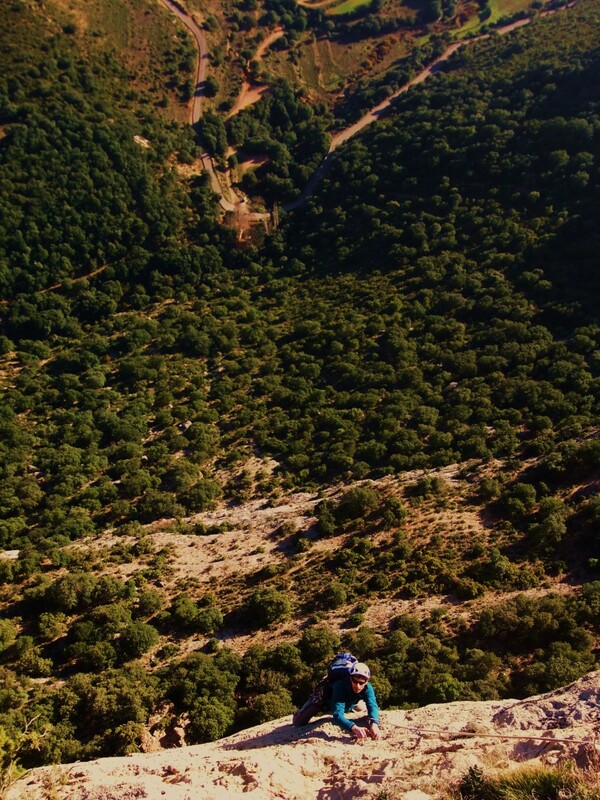 There are walls higher than 500 meters and climbing there requires previous experience in placing protection. It is a solid limestone rock with crimps, little pockets and cracks and many pitches are quite athletic. The best season to come is spring and autumn. 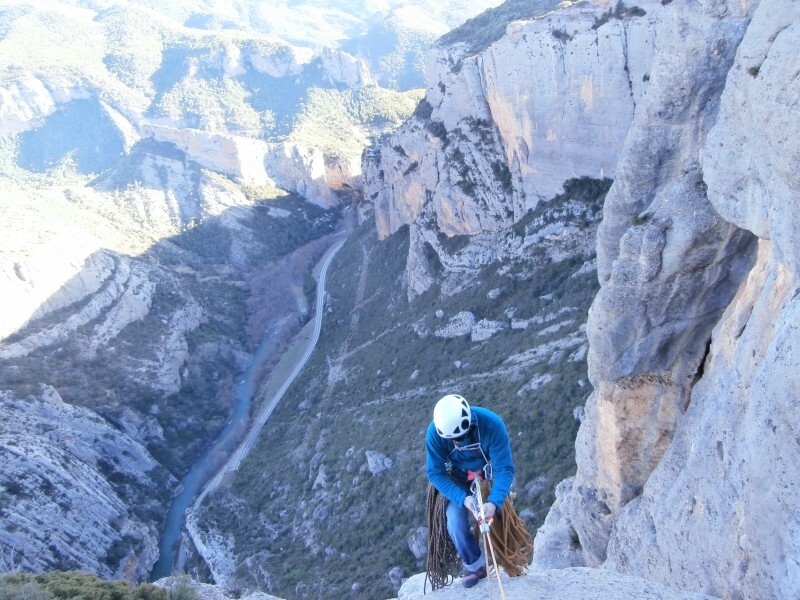 Terradets is one of the cradles of Spanish climbing. 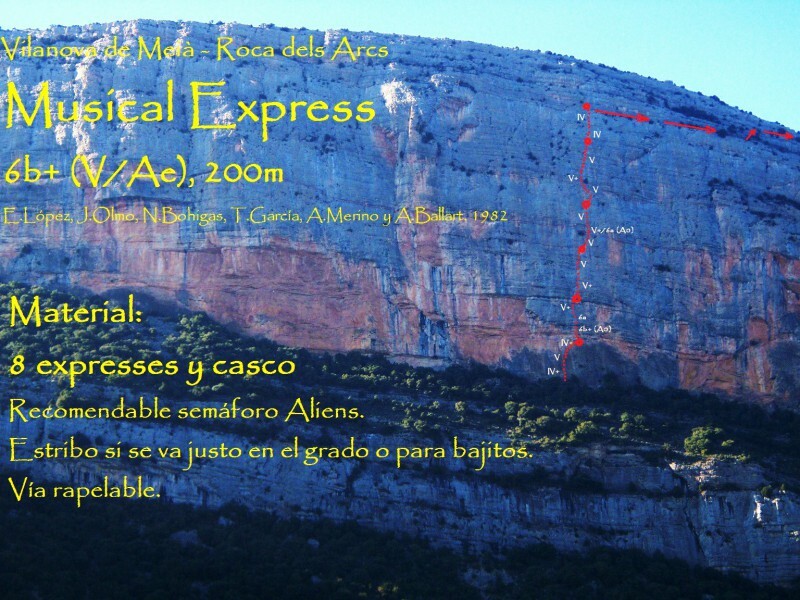 The area has a great choice of different climbing styles: from trad multi pitch climbs in Roca Regina and bolted multi pitch routes in Pared de las Bagasses to superb tufa lines in sport climbing area of Les Bruixes. For those of you who like limestone multipitches it a great opportunity. 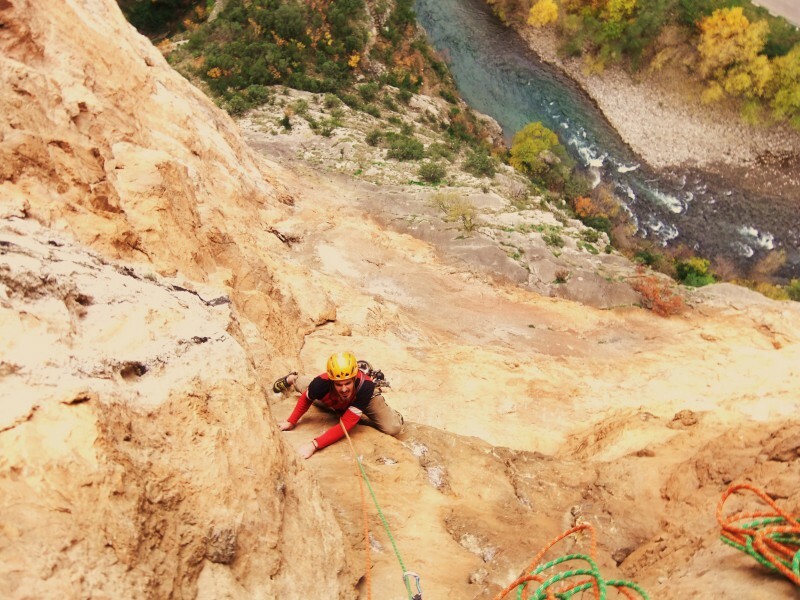 You can choose from a variety of bolted as well as trad multi pitch routes of different lengths (200m – 600m). Most of the routes are vertical or slabby with little crimps. The closest towns are Tremp and Pobla de Segur, both less than half an hour away by car. 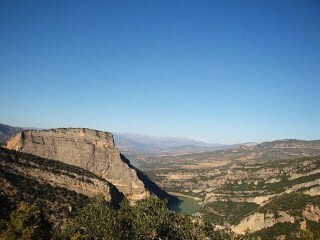 The gorge of Collegats is 5 km long and represents a natural pass between Pallars Jussà and Sobirà. The crags are located on both sides of the river Noguera Pallaresa, which finds its way through the high rocks to carry on southwards. The landmark of the area is the river resurgence called ´la Platería´. This place where the water exits from the wall inspired many artists including the famous Catalan poet Maragall and the architect Gaudí. Because of its morphology the rock in Collegats is formed of conglomerate and limestone, both of great quality. 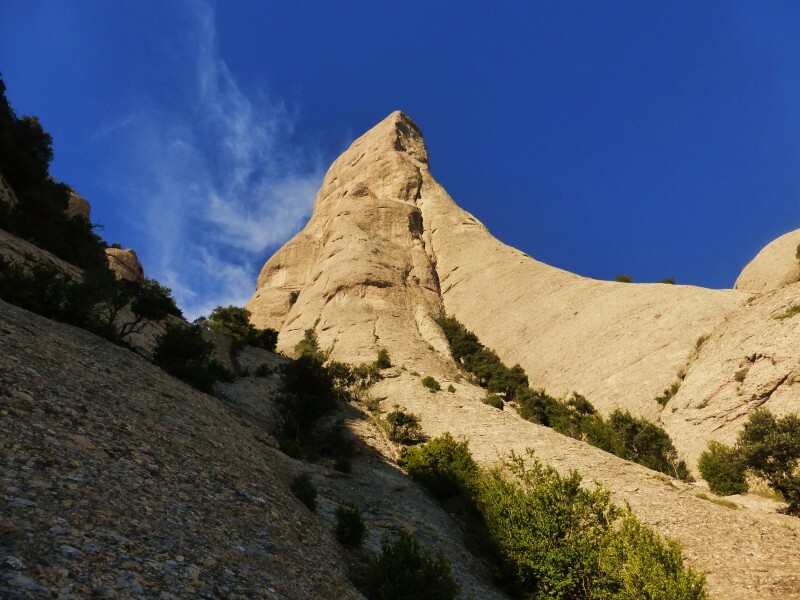 Regarding climbing styles, you will find a great variety there, from very technical vertical climbs to explosive steep tufa lines. The length of the routes varies, the longest multi pitches are about 350 meters. Some of them are very challenging in terms of placing protection while others are completely or partly bolted. Choosing the appropriate face according to the weather you can climb there from spring to fall, in winter it gets too cold. The closest town is La Pobla de Segur which is about 8 km away. The Vilanova de Meia area is situated in Noguera region in northern part of the Catalan province of Lérida. The closest town is Vilanova,which gave the area its name. The rock there is mainly limestone of superb quality, the lines are vertical, sustained and usually reach up from 200m to 400m. The best time to come is fall, winter or spring because the walls are south facing. On summer days you'd better look for a place with a cooler climate. 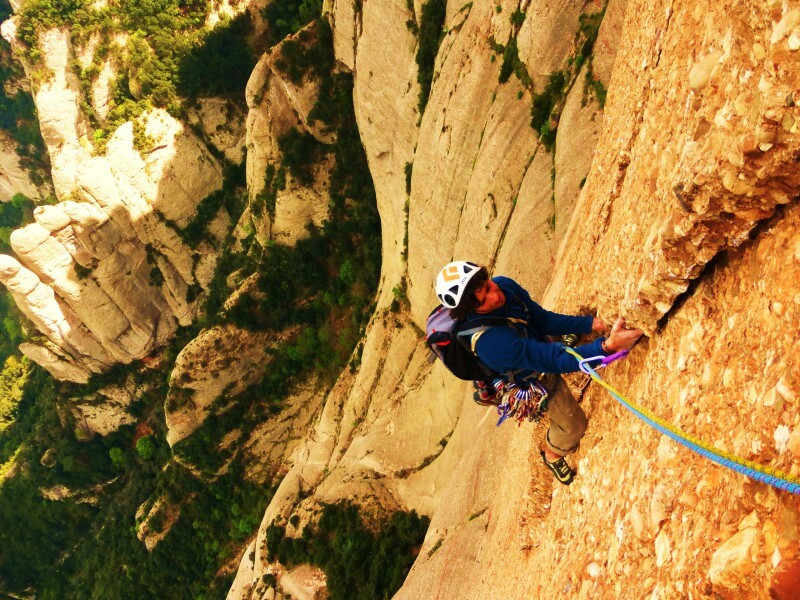 Montserrat is a rocky massif located 50 km northwest of Barcelona in the regions of Anoia, Bajo Llobregat and Bages. This mountain is famous not only for its peculiar rock but also for the Benedictine Abbey of Montserrat. 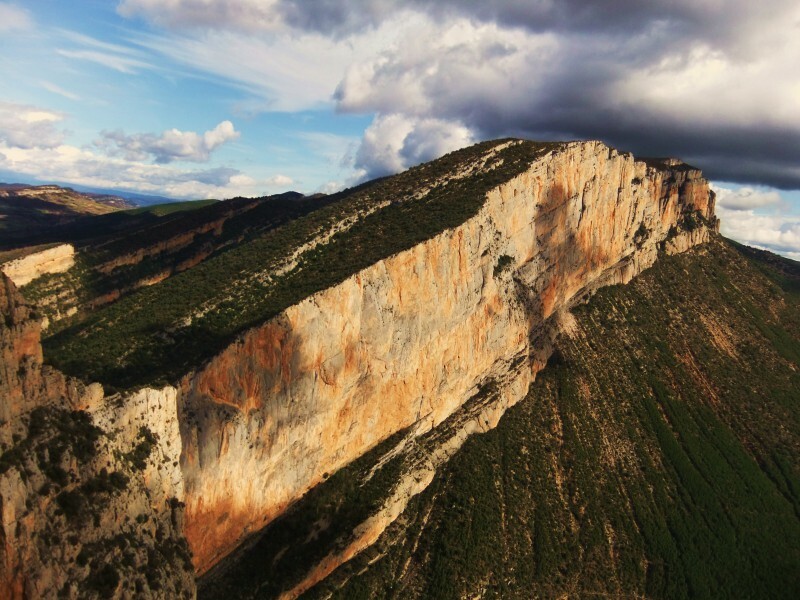 It is a unique mountain which rises above the river Llobregat and the highest peak reaches the altitude of 1236m above the see. In 1987 the area was declared first Spanish national park. It is composed of strikingly pink conglomerate, a form of sedimentary rock, which causes its peculiar aspect with a lot of rock formations. 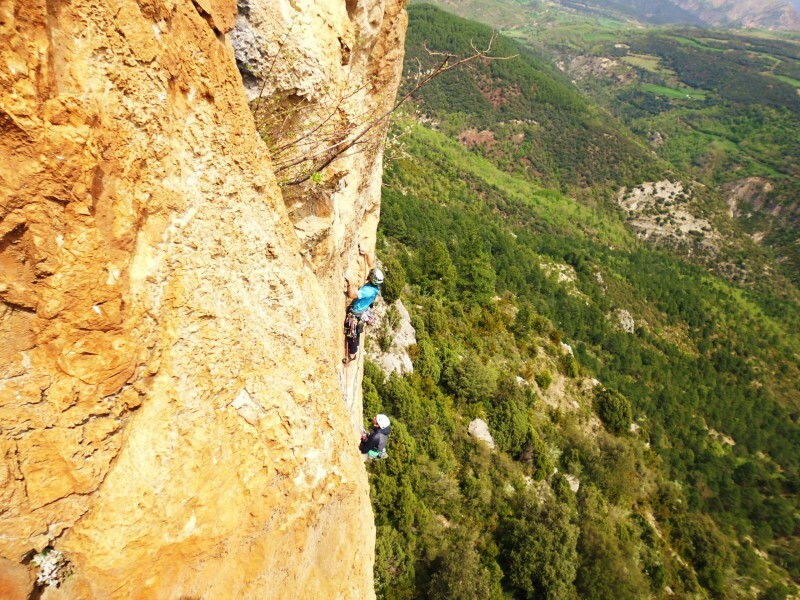 Montserrat means technically demanding climbing in a spectacular scenery. 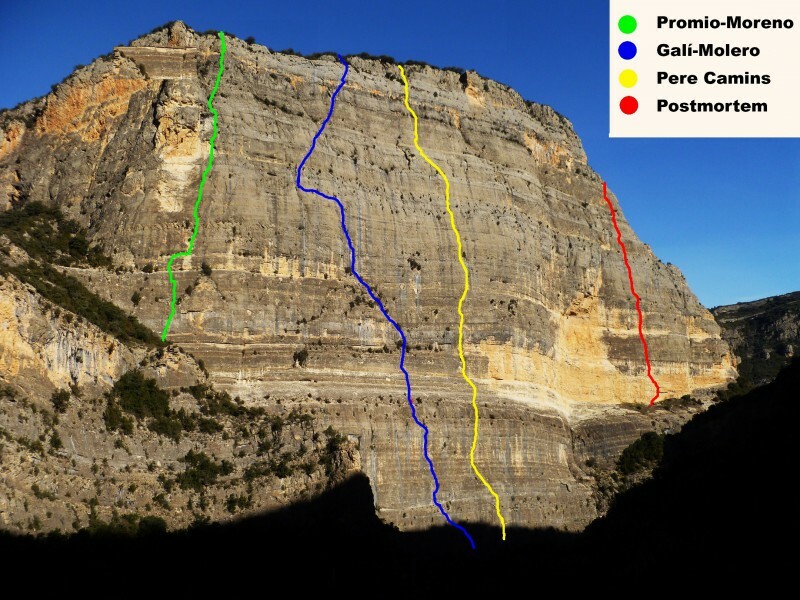 The lengths of the routes depend on the area, in Montserrat you find single pitch sport climbs and lines of 2 or 3 pitches as well as long multi pitches reaching 400m. Situated close to the cost it is a great place to climb all year round except for summers which are too hot.